After three exceptionally wet summers, which have made traditional hay-making a nightmare, and a promising June, we were confident that this summer would be different. How wrong we were! Successive rain-bearing fronts rolled in from the Irish Sea and for two weeks we did not have a single dry day. 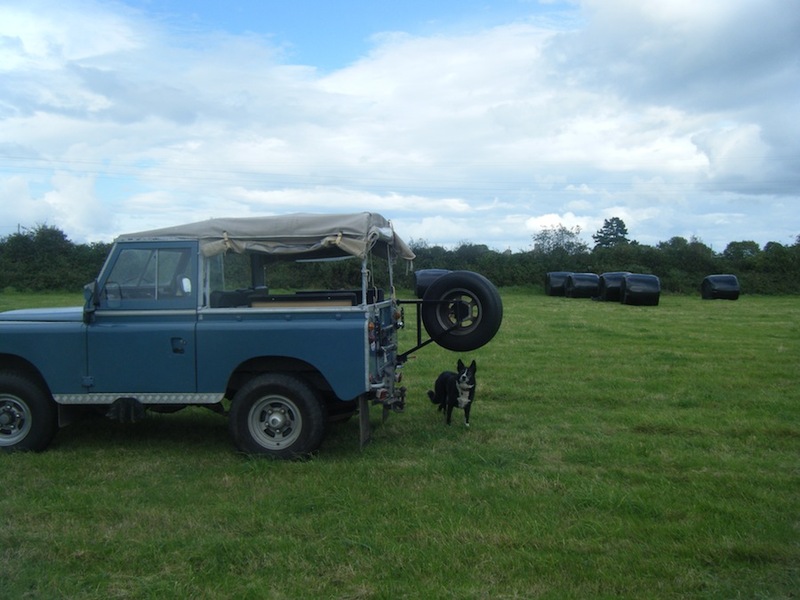 In the end, when the forecast promised four dry days, we cut our big hay field at Ty’n Coed; a day later it rained, although not too heavily, and as the grass was lying it was not disastrous. When we heard a weather warning for heavy rain – leaving only two dry days to turn and row up the hay – the only option was to ask a farming neighbour to bale and wrap it. We now have enough silage for the winter, but not the hay we wanted. Other jobs have been affected by the weather, particularly sorting access to our far field at Ty’n Coed, Cae Gwaelod and getting ponies onto the rough land beyond. Regular walks through the field have been ‘spiced’ by clouds of common blue butterflies, damsel buy viagra online and dragonflies over open water and bright splashes of purple hardhead and blue devil’s bit scabious. The AI (artificial insemination) concluded at the end of August, after eleven attempts to get seven cows and heifers into calf, four being repeats (when cows or heifers show they have not taken by bulling again). However it looks likely that at least one, and possibly two of the seven are still not in calf. A bull certainly seems much more reliable! We’ll just have to wait and see how successful AI proves to be. The rabbit population is still expanding, especially in the fields around the farm; our carrots have been their favourite target in the veg garden. Voles have been eating the potatoes, birds have pecked tomatoes in the polytunnel and the broccoli has been stripped to the leaf ridges by slugs, so we have been sharing our produce! On the other hand, bats have a nursery roost above the office, swallows have been breeding in the cow shed and frequently come into the shippon to fly about and twitter familiarly, and a young buzzard is hanging about the orchard calling incessantly in a squawky voice. The beeches that came down early in the year have provided an amazing amount of work for chain saw, log splitter and axe. The result is equally amazing. 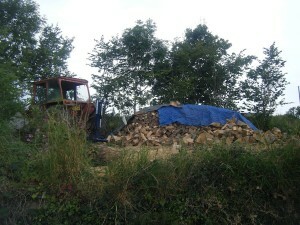 We have never had a wood store like this before – it rivals anything we saw in June in Slovenia. Almost worth wishing for a cold winter! This entry was posted on Wednesday, September 8th, 2010 at 3:29 am and is filed under Diary. You can follow any responses to this entry through the RSS 2.0 feed. Both comments and pings are currently closed.